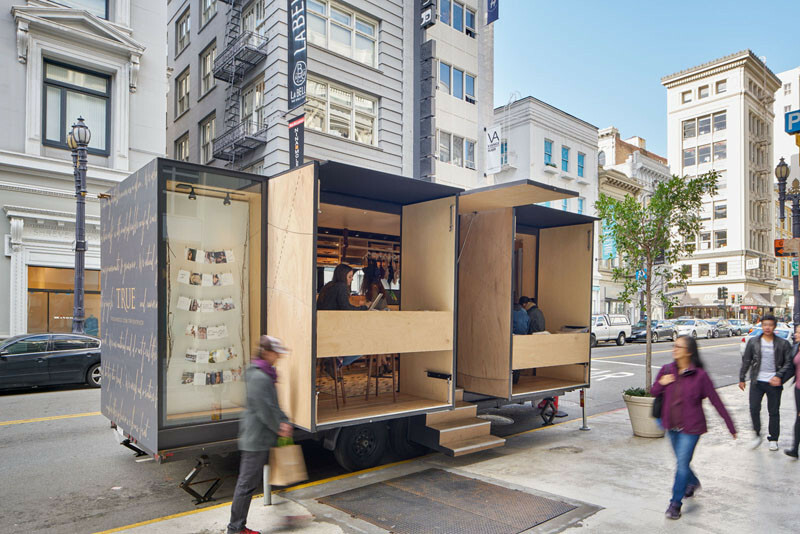 Mobile Office Architects and Spiegel Aihara Workshop collaborated to design and develop a mobile retail store for online clothing brand, True & Co. 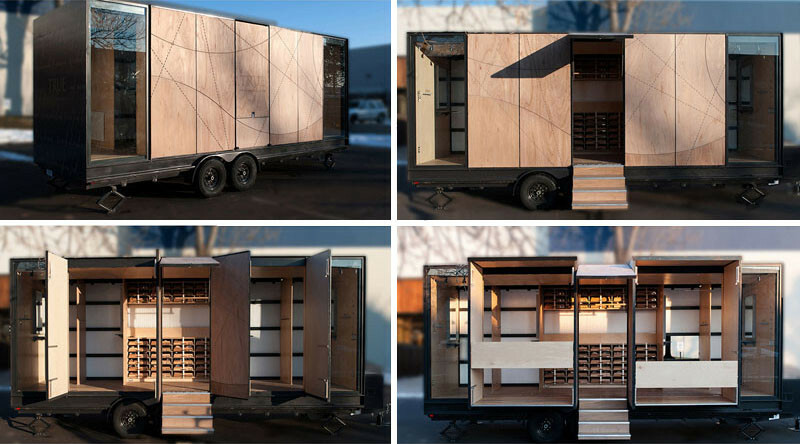 The design brief was to design a truck that would attract crowds, but also create an intimate and private customer experience within. 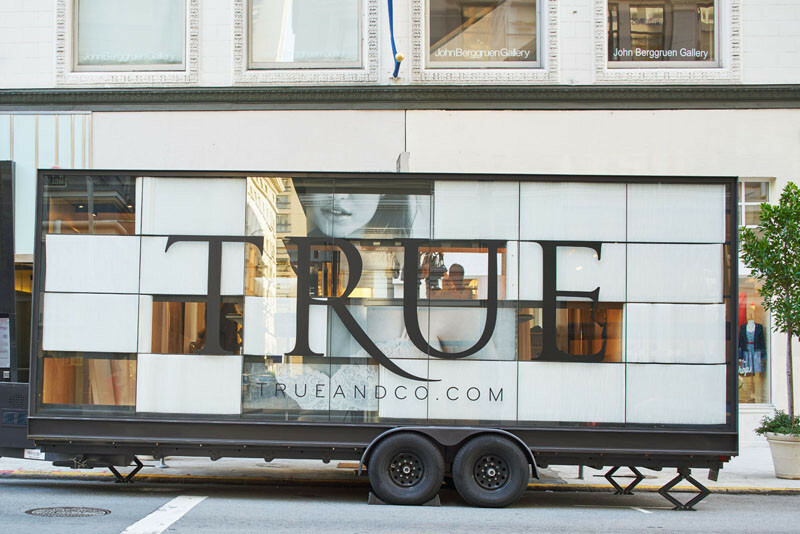 Named the ‘Try-On-Truck’, the truck is actually a mobile lingerie store, as True & Co is an online store, without a real world location. 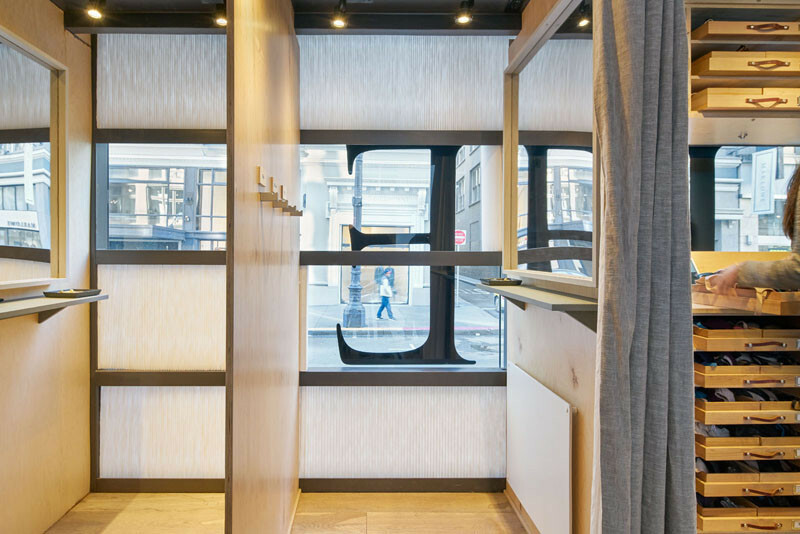 Inside there are four fitting rooms, with custom-designed millwork for storing undergarments. 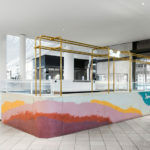 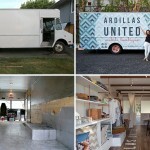 One side of the truck is a continuous wall of glass, on the other there are a series of transformable folding doors – providing entry, seating, and a checkout counter. 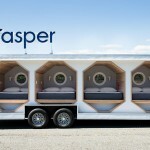 This it the view looking down the inside of the truck. 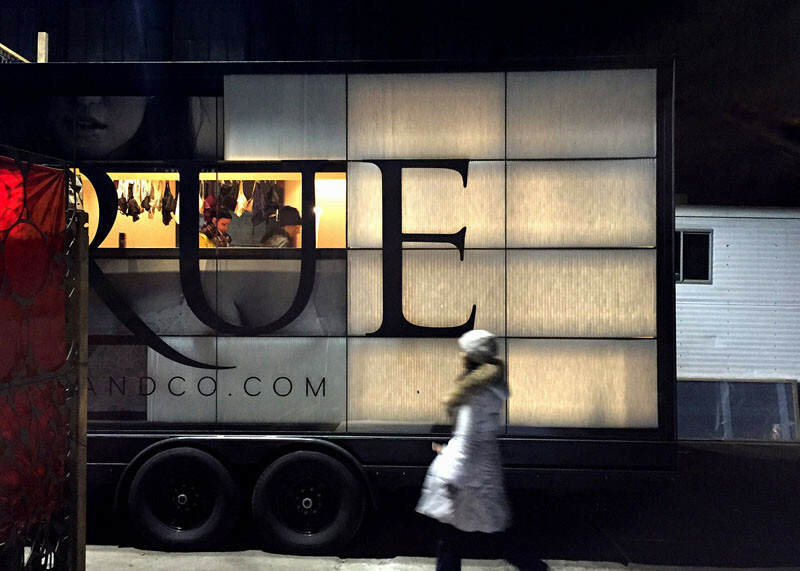 The truck also has the all-important fitting rooms. 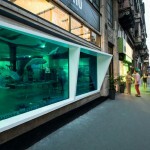 You can see how the windows can be covered to provide privacy for the customers.